The resurgence of North American first-class train travel continues to grow, recently profiled on CBS’s “Sunday Morning.” Uncommon Journeys, operator of the legendary Great Western Limited (pictured above), announces summer train holidays that exemplify the romance of the rail and showcase the magnificent National Parks of the American West. This lineup of one-of-a-kind trips for the 2014 season features the meticulously restored and renowned service of the Pullman Sleeping Car Company paired with exquisite hotels and a variety of all-inclusive sightseeing adventures. 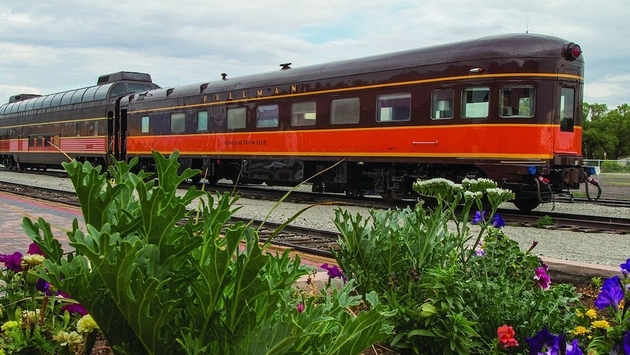 Traveling aboard one of the nation’s most famous trains, guests will enjoy distinguished destinations from San Francisco to Yellowstone to Glacier National Park. Jagged mountains, emerald forests, rushing rivers and rich wildlife provide a visual feast for guests as they explore the beauty and splendor that is the great American West. - 13 days and fares beginning at $3,995 per person, based on double occupancy. - Dates: June 1-13, 2014; June 29-July 11, 2014; Aug. 3-15, 2014; Aug. 31-Sept. 12, 2014. - The Great National Parks of the West by private streamliner train, the Great Western Limited combines five of the greatest National Parks into one unforgettable trip including Arches, Canyonlands, Grand Teton, Yellowstone and Glacier National. Guests are treated to first-class hotels and exquisite dining in Salt Lake City, Jackson Hole, Yellowstone and Whitefish, Mont. A variety of all-inclusive sightseeing excursions are offered such as a float trip on the Snake River and complete tours of all five parks including Yellowstone’s Old Faithful geyser. - 17 days and fares beginning at $3,995 per person, based on double occupancy. - This visual feast of the West begins in San Francisco with a two-night stay at the Hilton at Fisherman’s Wharf complete with a sightseeing tour and welcome dinner. Guests then journey by train to Yosemite National Park and board the Great Western Limited vintage streamliner train for Seattle. A two-night stay at the Westin Hotel is followed by a seven-night inside passage cruise from Vancouver to Seward aboard an elegant Holland America Line cruise ship, complete with stops in Ketchikan, Juneau, Skagway and the gorgeous Glacier Bay. The private McKinley Explorer Train takes travelers from Denali to Anchorage before a final two-night stop in Denali National Park. - 12 days and fares at $2,995 per person, based on double occupancy. - The only trip to feature Glacier National Park, Yellowstone, Grand Teton, the Sierra Nevada Mountains and Yosemite combined, the Great Western Limited offers guests a stunning snapshot of the Great National Parks of the West. The journey begins with a two-night stay in quaint Whitefish, Mont. with the famed “red Jammer” bus tour over the extraordinary “Going-to-the-Sun Highway.” A perfect finale is found in “Everybody’s Favorite City,” San Francisco with a two-night stay at Fisherman’s Wharf including a cruise of the bay and farewell dinner. - 14 days and fares beginning at $3,995 per person, based on double occupancy. - This stunning daylight passage through the Colorado Rockies over the Denver & Rio Grande Western Railroad takes travelers across the Navajolands of the Great Southwest. Guests will venture from the deep blue waters of Lake Tahoe to the California Coast to the awesome majesty of Yosemite National Park via the Empire Builder. 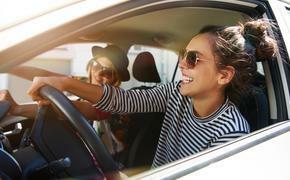 Superb hotel accommodations are provided throughout the journey including the Grand Sierra Resort in Reno and the Biltmore Hotel in Los Angeles. A ride aboard the newly restored Virginia & Truckee Railroad into historic Virginia City, Nev. is a rare treat while a steamship passage to the lovely Catalina Island is always a guest favorite. Each holiday features a professional tour manager to handle all details from hotel reservations to sightseeing opportunities. For reservations and more information about the 2014 schedule please visit www.uncommonjourneys.com, call 1-800-323-5893 or consult your local travel agent.